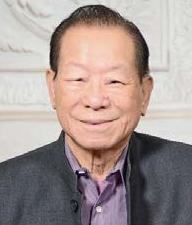 Founder of PSC Peter Shen-Ching Chan of San Francisco, California, passed away peacefully with family by his side, at the hospital on July 11, 2018 at the age of 77. He was the beloved husband of 45 years to Regina Y. Chan; devoted father of Mia (Vance), Mabel, Maxine (Loren) and Derrick; and loving grandfather of Parker, Sienna, Kylie and Natalie. Peter was a Small Business Owner, Entrepreneur, and Public Servant. He was an alumnus of Wah Yan High School and Cal Poly Pomona. In 1975, he founded and established PSC Associates, Inc. and PSC Consultants, LLC, a geotechnical, environmental, material testing and special inspection engineering firm located in California and Hawaii. He also owned businesses in construction, construction management and real estate. As an accomplished Principal Engineer, he received many achievements which included the Outstanding Project Awards from California Geotechnical Engineering Association, the Achievement Awards from Asian American Architects and Engineers for landmark projects such as the SFO International Terminal, and the H-3 Freeway in Oahu, Hawaii, and recognized as a Businessman of the Year and Entrepreneur of the Year by the National Republican Congressional Committee and Minority Business Development Center. Heavily involved in public service, Peter was a member of the Mountain View Downtown Revitalization Committee from 1980-1987; and then a board member of the California Board of Architectural Examiners from 1989 to 1995. Peter was President of the Peninsula Lodge of Chinese American Citizens Alliance in 1986-1988, which organized the First Chinese New Year Parade in Mountain View. In 1991-2003, he served as a member of the Veteran Affairs Advisory Committee on Structural Safety in Washington D.C., and a California Local Board Member of the U.S. Selective Service System appointed by the U.S. President. In his later years, Peter enjoyed travelling with his wife and spending time with his family and grandchildren. Funeral service will be held on Thursday, July 19, 2018 at 10:00 a.m. at DUGGAN'S SERRA MORTUARY, 500 Westlake Avenue, Daly City. Burial service follows at HOY SUN MEMORIAL CEMETERY, 2101 Hillside Boulevard, Colma. For flower contributions please contact Rene at (650) 784-5682.